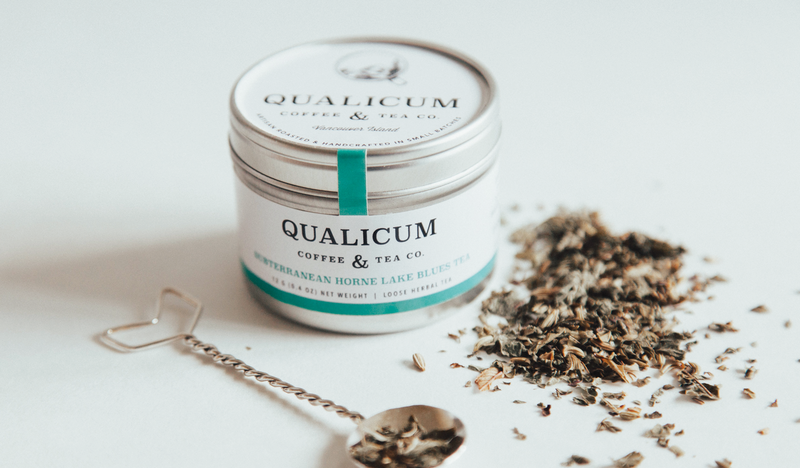 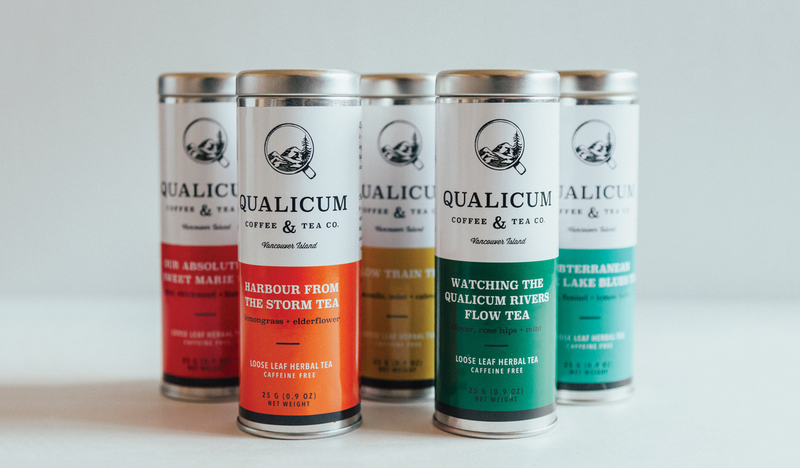 Designer Laura Prpich says that "Qualicum Coffee & Tea is a small batch roaster on Vancouver Island that specializes in uniquely blended coffees and teas with outstanding taste. 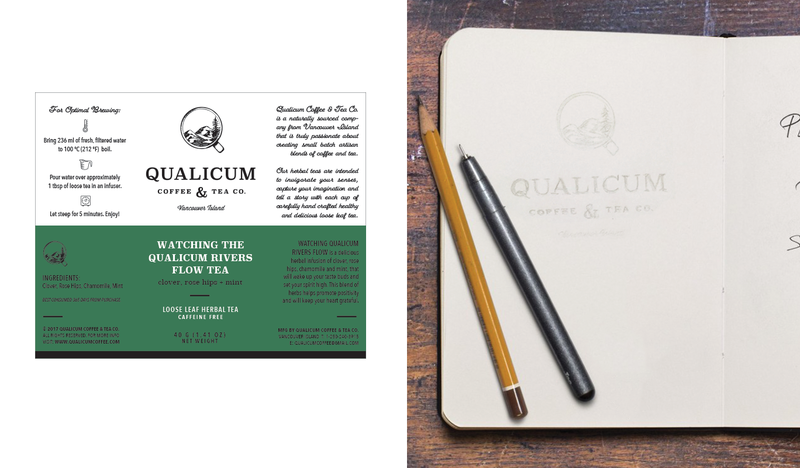 A self made entrepreneur, owner Ron Campbell turned to Caribou Creative when he was ready to expand his business - with the hopes of becoming more recognizable among coffee and tea lovers. 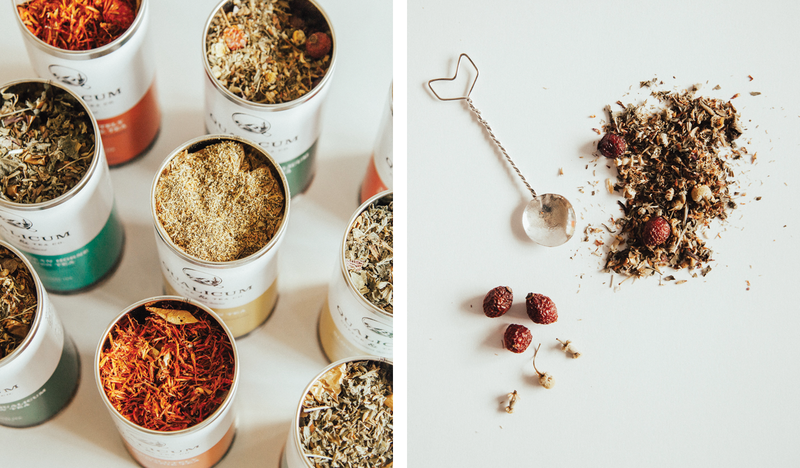 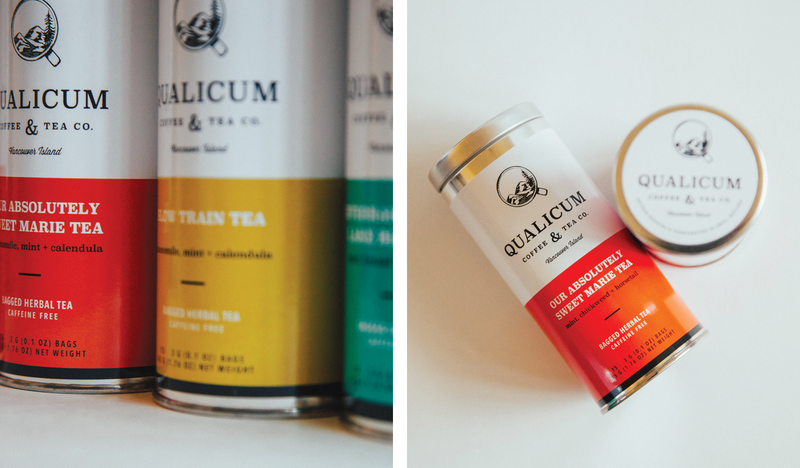 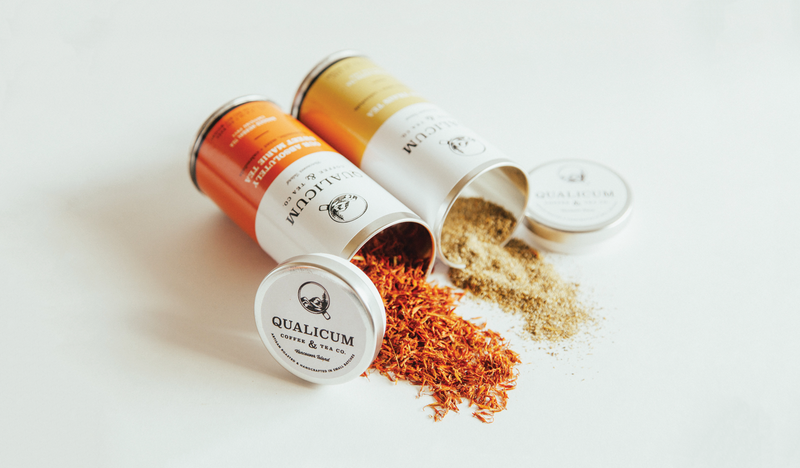 Qualicum Coffee & Tea is sold locally in stores and community markets."